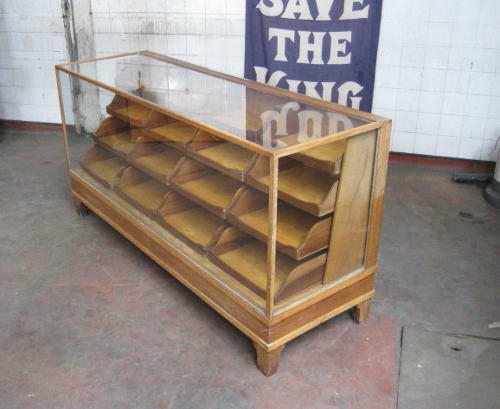 Mahogany and oak haberdashery counter or display cabinet. Glass cabinet enclosing sixteen tiered drawers. Brass measuring rule by J Rabone & Sons.